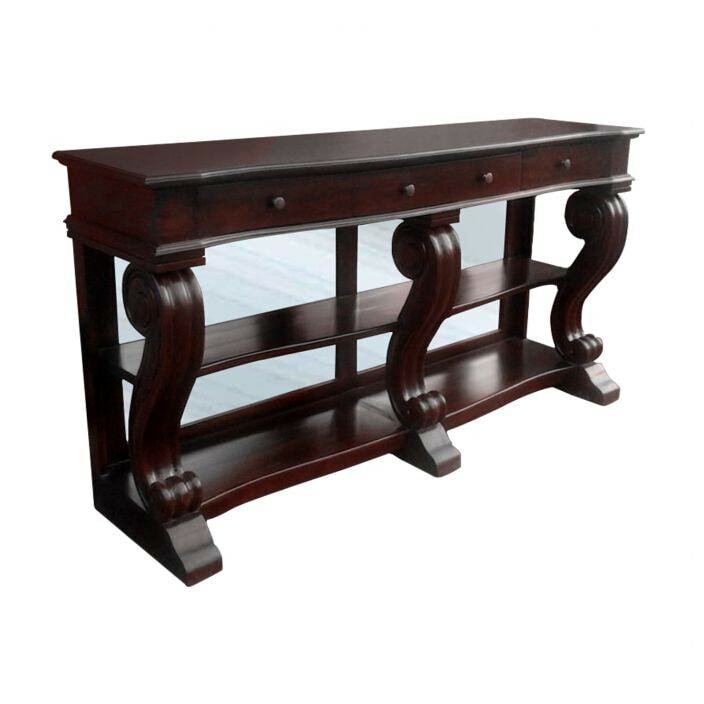 Invite a touch of antique french elegance into your home with this exceptional Antique French Console Table made form hand carved mahogany. Part of our award-winning antique french dining collection, this console table is sure to impress. This Mahogany Antique French Console Table has an exquisite antique french finish, delicate wood carvings and smooth curves, helping you achieve that perfect boudoir feel.